In seedling production of seawater fish, providing appropriate nutrition is a necessity for successful production of quality larvae and juveniles. Mass-produced live prey organisms, such as the rotiferBrachionus plicatilis species complex and brine shrimp Artemia spp., alone do not provide sufficient nutrition to the larvae and juveniles of seawater animals. This inadequacy has led to various problems related to fish quality and health, including increased incidence of morphological and behavioral abnormalities and mass mortalities. It is, therefore, important to identify the factors associated with these problems to improve seedling production techniques. This review collates the efforts made during the past two decades in larval nutrition–focusing on advances made in the use of certain nutrients, such as docosahexaenoic acid, vitamin A derivatives, and taurine that are important for the mass production of seawater fish larvae and juveniles–with an aim to improve the quality and health of fish. 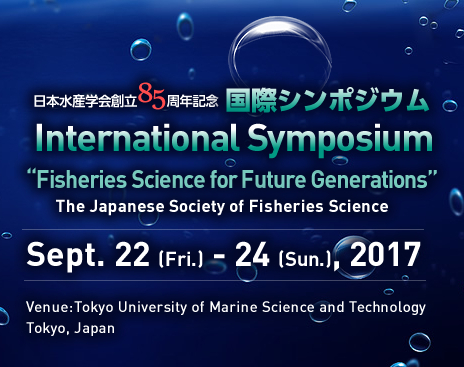 Prof. Toshio Takeuchi has long been dedicated to the research of the nutritional function of fish feed for healthy development of cultured fish species. He was awarded many JSFS prizes in the years of 1987, 2003, 2006, and 2009. He was a former president of the JSFS from 2010 to 2011.